Life is all about relationships. Everything that we do as human beings revolves around our relationships with each other. And we want our relationships to be harmonious, balanced and fulfilling. We are not born knowing how to create healthy, balanced relationships. The relationship skills we first learn come from our parents or primary caregivers, either directly or by observation. And our models for those skills are likely to vary widely between healthy and unhealthy. Our relationships with each other, especially personal or intimate relationships, require an ability to be open, honest and vulnerable. We haven’t always had a safe place to learn how to be that honest and vulnerable. Healthy relationship skills can be learned, and unhealthy relationship patterns can be changed. 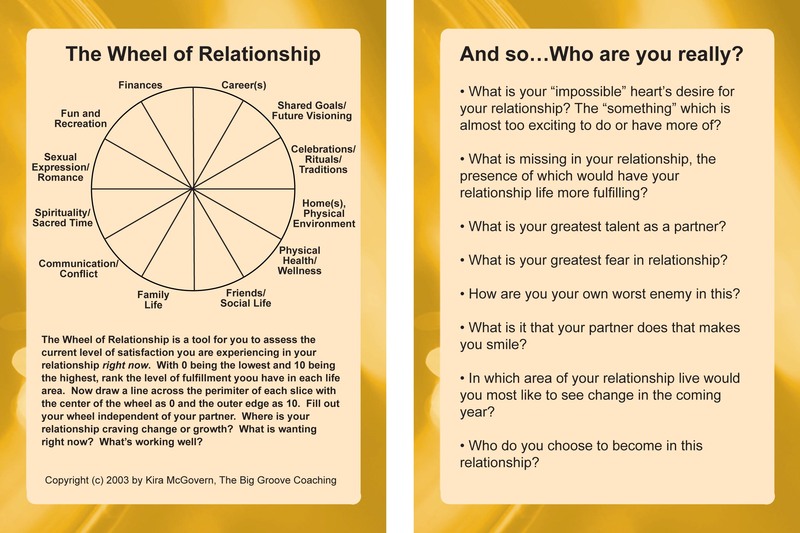 Supporting clients to develop and fine-tune their skills in order to create balanced and fulfilling relationships is the purpose of a relationship coaching. 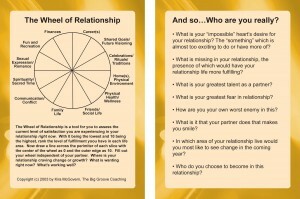 Couples Coaching: Learn the tools to create a rich, satisfying, and enduring relationship with your partner. Enrich and enliven friendship, reduce stress, increases peace, deepen commitment, and improve quality of life. Relationship Systems Coaching: Relationship Systems Coaching is the process of working with partnerships and/or teams in a business or non-profit setting in order to help the organization members interact more effectively and profitably and with a higher level of satisfaction. Because relationships systems are self-regulating, working with the entire group/team or system promotes change by creating alignment and connection among the partners, thus reducing the system’s tendency to maintain status quo. To be successful, teams, partnerships and/or organizations require as much focus on the teams relationship as on the business. Relationship systems coaching can help you elevate your business or organization to the next level, build successful teams and resolve conflicts within your organization. Transforming Business Partnerships: Business partnership coaching allows you to create such a partnership consciously and intentionally. A partnership can be the cornerstone of your venture’s success or the cause of its death. Don’t leave it to chance! Call me when you’re beginning a relationship to lay a lasting foundation. Let’s work on building lasting relationships together!